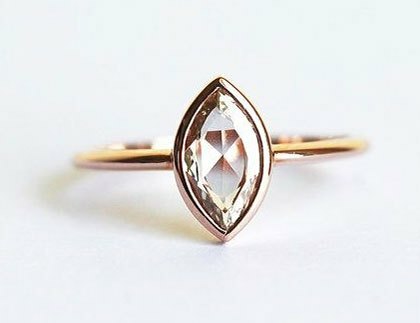 If you're on the hunt for that perfect engagement ring, then these top trends for 2018 might help you spot the diamond in the rough. Whether you're looking for a regal style fit for a princess, or want something a little more unusual, there's something for every kind of bride this year. We spoke to Grant Mobley, a gemologist and the Director at Pluczenik to find out what to look for. It's no surprise that the Royal engagement at the end 2017 is going to have a lasting impact on 2018's bridal trends. 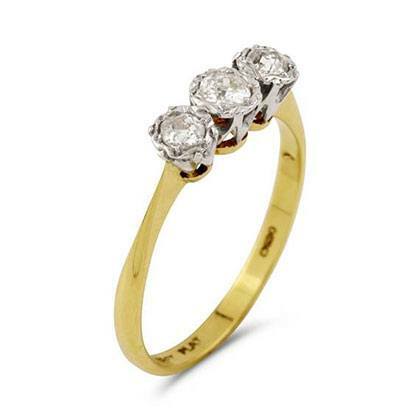 Even though three stone rings are actually quite a classic style, their popularity has never been higher than now, following Prince Harry's pick for Meghan Markle. 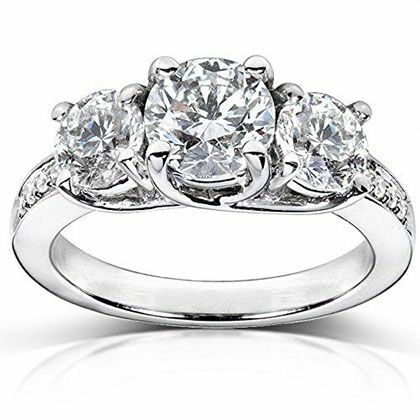 Grant comments: "Three stone rings are a marvelous choice because their design possibilities are endless—diamond shapes and colors can be any combination you like, making this a true classic option." 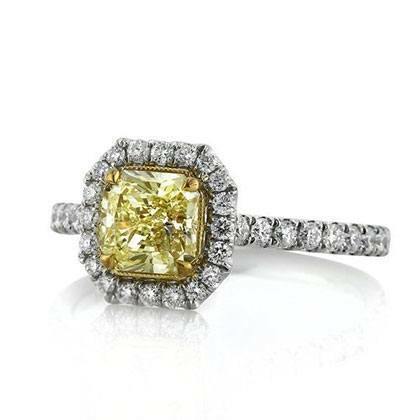 While fancy yellow diamonds have been a popular gemstone choice for jewelry for some time, their use in engagement rings is a much more recent affair. "Yellow diamonds with a fancy grading are even rarer than white diamonds, and generally come at a higher value," Grant says. And this makes them a natural celebrity favorite. "Nicki Minaj, Kelly Clarkson, Iggy Azalea, and Heidi Klum are among the names who have all been seen sporting amazing yellow diamonds." This has been a stand-out diamond shape for some time, with Blake Lively, Serena Williams, and Kirsten Dunst all sporting them, and Grant reckons it'll only gain popularity in 2018. 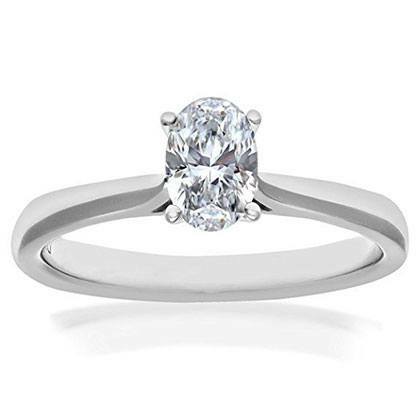 "Elongated diamond cuts such as the oval usually appear larger next to the same size round, or square cut diamond," he says. "This size illusion makes it a great choice." 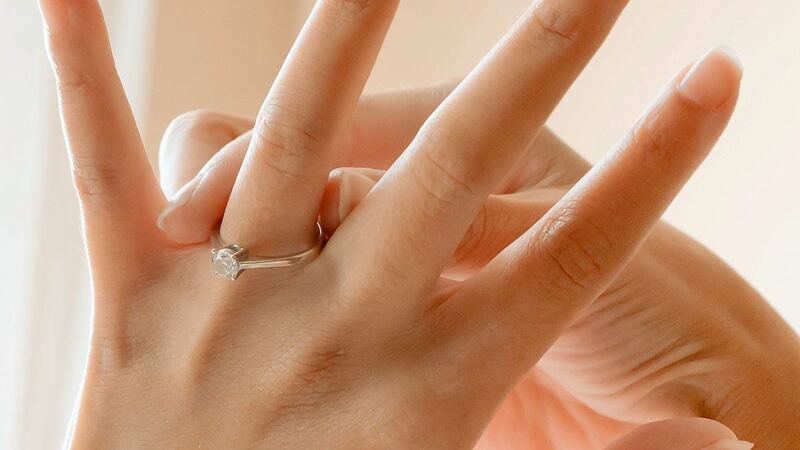 "When it comes to choosing a metal for an engagement ring, the most popular conventional choices have been white/yellow gold and platinum," Grant says. But this year, he expects the growing trend for rose gold bands will increase in popularity even more. 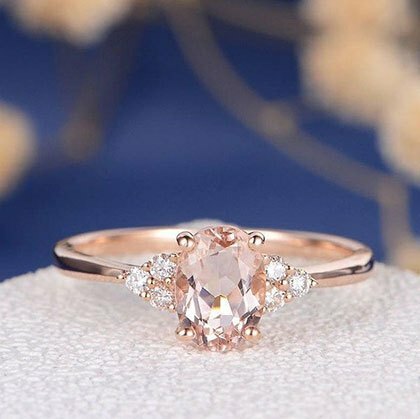 "We have seen stars such as Allison Brie, Leighton Meester, and Hayden Panettiere with rose gold and diamond rings, showing us that rose gold is not only a unique option but a beautiful one that will stand the test of time."